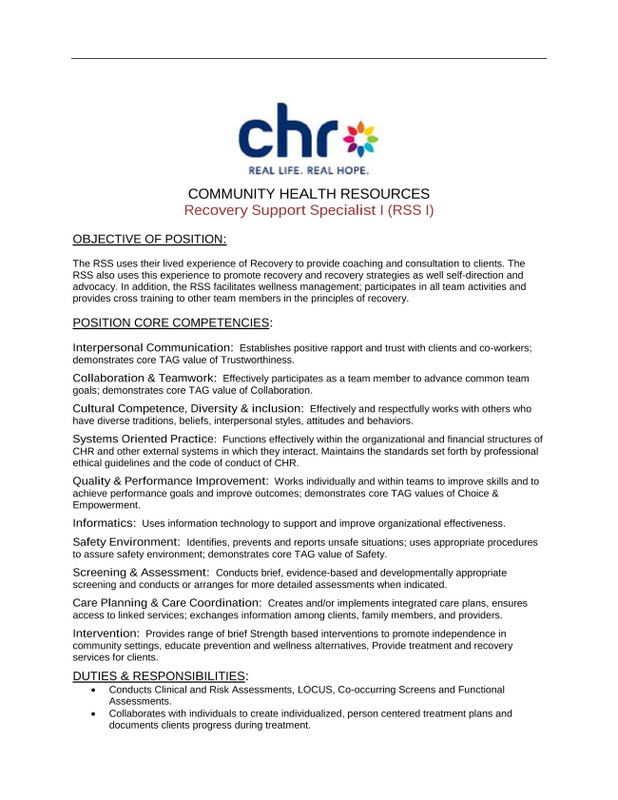 United Services is looking for a dynamic Peer Recovery Specialist to join our Community Support Services team in Willimantic, CT. Bring the peer perspective and your recovery experience to support and inspire others to achieve person-driven and self-defined achievable goals. In accordance with RNP's Mission Statement, Philosophy of Client Care and Code of Ethics as stated in the Personnel Policies and under the supervision of the Chief Clinical Officer. Provides peer support services for individuals and their families to effectively address the myriad of issues which those with substance abuse and mental health disorders require to support the recovery process by performing the following duties. Advocacy Unlimited believes the power of inner healing, in connection with others, will change the world. Through education, advocacy, and support, AU promotes individual growth, protect human rights, and informs systems transformation.